Follow the White Bunny: I'm in the new Mollie Makes Embroidery Book! I'm in the new Mollie Makes Embroidery Book! 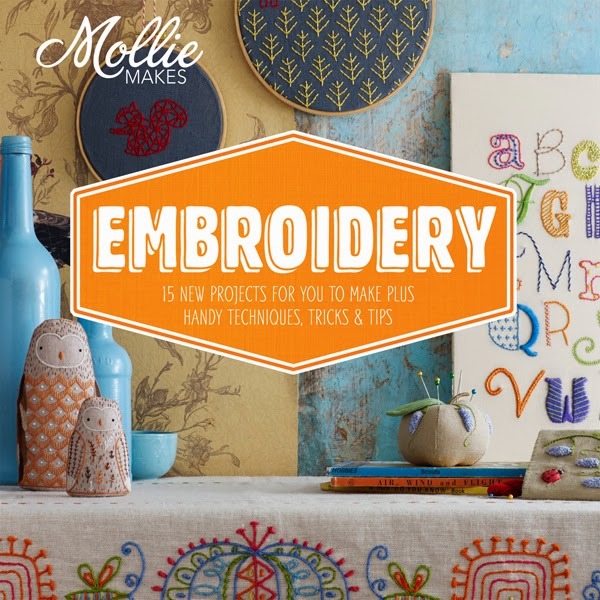 Just two weeks ago a new Mollie Makes book was released, it's simply called Mollie Makes Embroidery. I was very pleased when I was asked to contribute to it last year and I was even more pleased when I received my copy and saw how wonderful it has turned out! 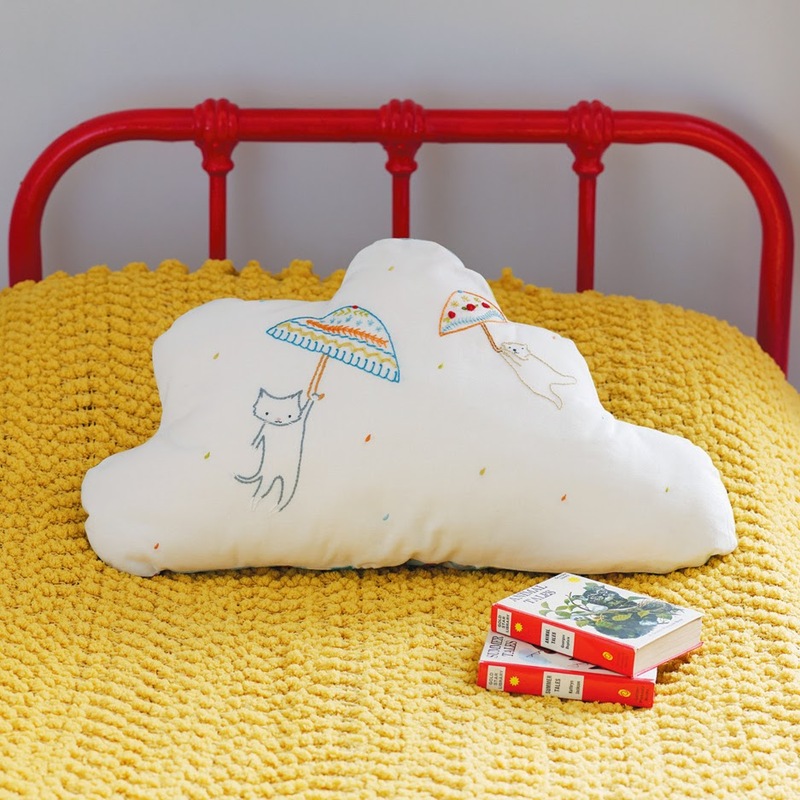 My project in this book is the cloud shaped pillow embroidered with a cat and a polar bear, you see pictured above. The umbrellas are really mini-samplers, featuring some of my favourite stitches like the Bullion Knot and the Wheat Ear Stitch. I'm really happy with the result although making the cloud-shaped pillow 'cloud-shaped' was a bit of a challenge but I got there in the end. The first half of the book features 15 projects from (amongst others) my &Stitches pal Carina, Mollie from Wild Olive, Sophie from What Delilah Did and many more embroidery designers. 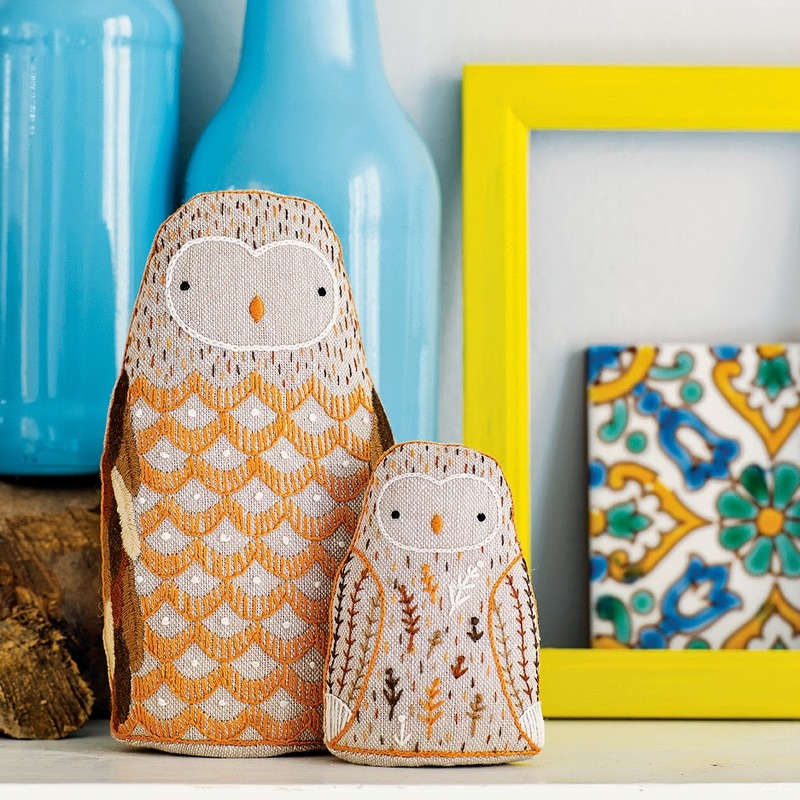 The projects and designs are 'typically' Mollie Makes: charming, fresh, modern but with a retro feel to them. Even a technique that seems a bit outdated (at least to me) like Silk Ribbon Embroidery gets an impressive, new look in Mollie's Pretty Posy Ribbon Runner Project. Many different embroidery techniques are highlighted in the different projects: from 'free form' hand embroidery to Cross stitch and from Crewel to Stump work. The second half of the book consists of an extensive 'how to' section (about 80 pages) and many stitches and techniques are explained in words, pictures and with diagrams. Obviously the 'basics' are there but also less obvious stitches and techniques like the Raised Fishbone Stitch and Bargello are included. As is a section about Machine Embroidery, often overlooked in Embroidery books. I think the great projects and incredibly useful techniques section make this book a 'must' for new embroiderers and more experienced stitchers alike. Mollie Makes Embroidery is published Pavilion Craft (UK) and Interweave (US) and now available in bookstores and in online shops. Congratulations!! The cushion is adorable, as is your cat! Congrats! Your project is really wonderful, and I can't wait to check out the book. Поздравляю! Это очень красиво! Отличный журнал! Love that cloud pillow ~ so sweet! How exciting to have your patterns in a book!!! Congratulations! It looks like a fabulous book, for sure!!! 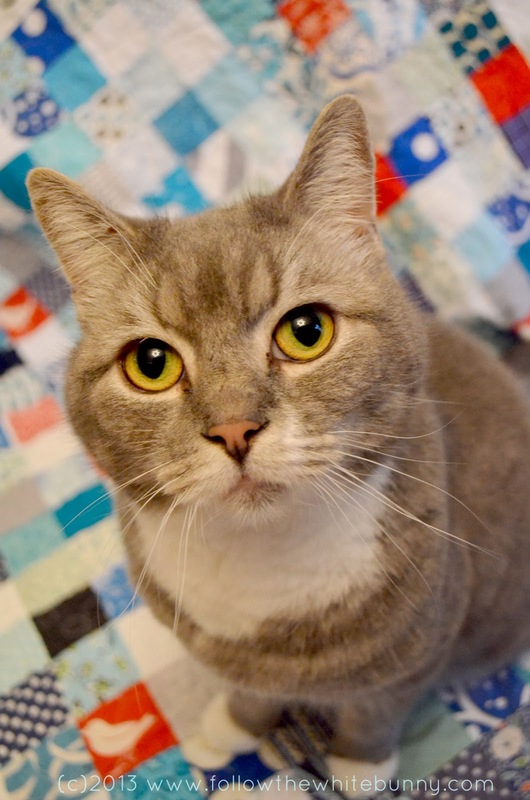 It's a very cute cushion project and I love your cat!